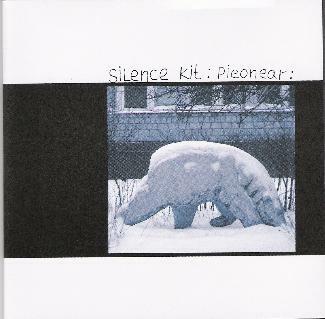 Silence Kit is 5 piece experimental rock band from Moscow, Russia. This CD features only 3 tracks (14, 38 and 18 minutes long). This is music to take a long trip with and also very heavy and noisy at times. The opening track, "Lemonsmellstreet", starts quite spacey and then gets very heavy like some stoner rock and then spaces out again before getting a very heavy wall of spaced out sound going again at the end! This stuff is cleary quite improvised but it flows in interesting ways. The sound is quite good considering it was all recorded in home studios in Russia! "Psychoparasite" is the next 38 minute track and again takes you on quite a trip with lots of guitars (Fedor plays flying guitar and two faced guitar, while Boris plays ice and ghost and homemade guitars!). The Cello and double bass playing by Yaraslav is very cool. "Psychoparasite" really builds up into an amazing track. This reminds me of Circle a bit. The last track, "Lemon Smell Street" (yes same title as the first but with the words separated! ), is a bit more far out than the others with more random noise thrown into the mix and a heavier bass line (very Sabbath like at times). If you are a patient man or woman, you will be rewarded by this music. I was.